* 12-U Teal, 13-32 for the tournament season but 5-3 in their last two local tournaments, definite improvement and skills development through the season. 8 Teams, 7 winning records, 7 teams won at least one tournament. In outdoor tournament play an organizational record of 224-154-9, 14 Championships and 6 Runners-up plus a Sweet 16 at PONY Nationals. A good year by most measures. 16-U White, (18-15-1) Due to a minority number of families backing out of their commitment, the remaining eight players/families were denied the opportunity to participate in the PONY Nationals in Sterling VA.
18-U White, (22-10) Mirage Dudley College Showcase, E Hartford CT, 4-0 on the weekend. The E Hartford event CANCELED ALL GAMES ON SUNDAY based on the weather forecast. 3 of the 6 losses came at the hands of 3 different Elite Eight teams who finished tied for 5th Place. 12-U Black (17-4), Spring Bash, Watertown CT, 6-0 on the weekend Champions for the second weekend in a row. 5-2 on the weekend Second Place as the Champions were from L.I. our 10-U Team was the top CT team. This completes the 10-U season. They went 16-3 over the last three weekends earning two Championships and a Second Place finish. 10-U traveled to Plainville MA to play in the Memprial Day Classic, after seeding #2 on Saturday the team came strong on Sunday and captured the Championship going 4-1 for the weekend. The team outscored their opponents by a combined 43-12. 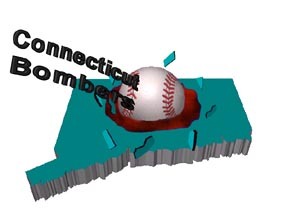 12-U Black went to Cheshire/Wallingford CT to play in the Friends of Softball tournament. The team had another strong Saturday, seeding #2, then finished in Third Place being eliminated by the eventual Runners-up. Finishing 4-1 on the weekend. 14-U Teal also went to the Friends of Softball event. Not farring as well on Saturday the team seeded #6 but came back strong on Sunday knocking off the #3 seed before falling to the eventual Champion in the semi-finals earning a Third Place finish. After heavy rains hit Friday night the Rose City Rumble was in jeopardy. Due to a legion of parents and coaches working the fields the weekends 66 games started a mere two hours late and was played to its completion. The 10-U team played well as a team all weekend, put miscues behind them and marched on to a 7-0 record while capturing the Tournament Championship. The girls again set a torrid pace outscoring opponents 83-15 for the weekend. The 10-U team opened its 2014 season going 4-0 to the Championship of this one day, Easter weekend, tournament. The team led by excellent pitching, put on an offensive show outscoring the opposition by a combined 58-2 score. Next weekend in Voorhees NJ will offer a whole new level of play.